I was awake this morning at 2am with a list of all the things I had to remember to do today churning around in my head (I actually got up and wrote the list … it’s the only way to get back to sleep if you’re plagued by this sort of thing). And then I’ve been on the go from the moment I actually got up – one of those days that just feels a bit relentless, with every new email a new thing to do. It reminds me of when I had a proper job as a manager and often I would get into work at 8:30 and open my email then spend the time until 6:30 just reacting to stuff until it was time to go home, without having done any of the things I’d hoped to get done in the intervening ten hours (if anyone was wondering why I might quit a well-paying job in a fantastic institution, well, that’s your answer). I’m not complaining – I have brought this on myself, and I’m doing something I feel passionate about, and it’s only for the next few weeks, and I’m working with a great group of fellow campaigners whose enthusiasm and energy is brilliant and amazing even as it generates ever more stuff that needs to be done. And it helps that, for the last three days the rain has been equally relentless so I have felt absolutely no resentment at being chained to the computer alternately answering emails and looking at lists of local authority candidates (which is more interesting than it sounds, but only slightly). 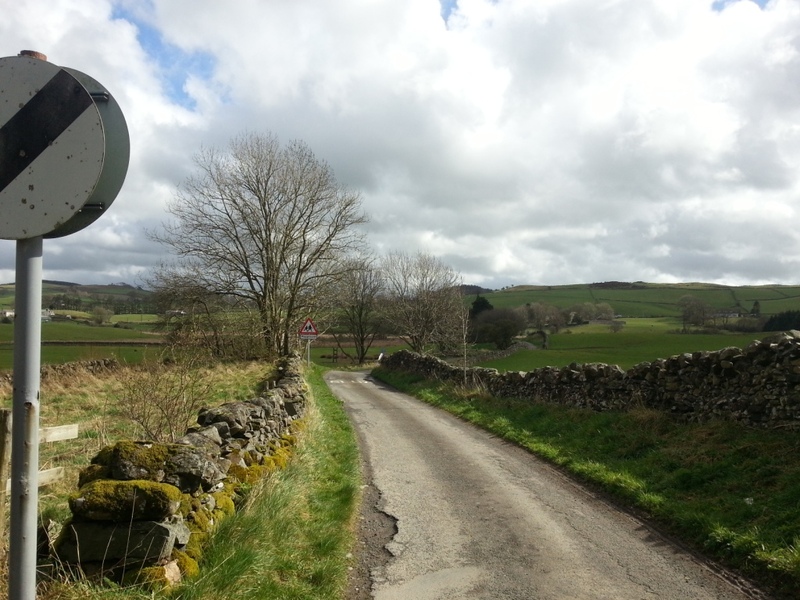 But, with the sun finally putting in an appearance, I did realise that I had an opportunity to do the tiniest bit of exploring along a road that leads out of the village and through a tiny hamlet past the school. So I took it. 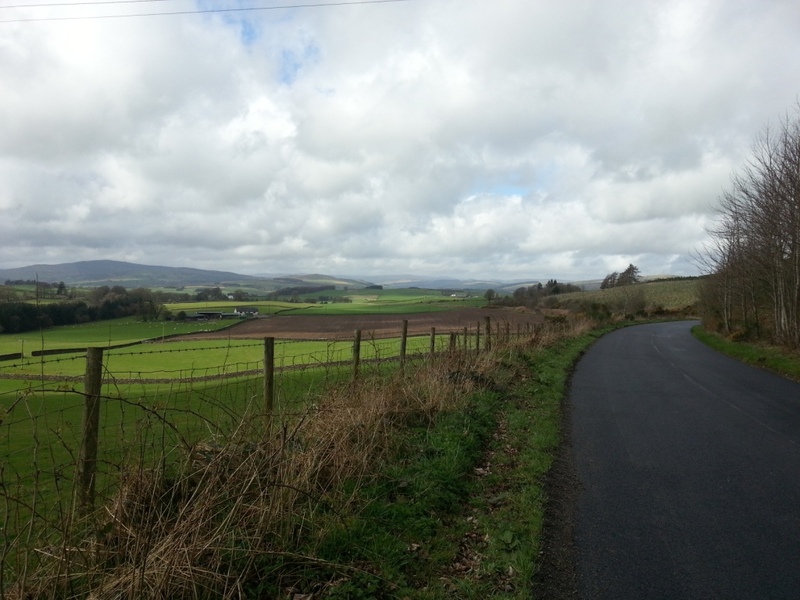 As new routes go, ‘detouring half a mile out of your way’ is a box-ticking exercise that the coonsil would be proud of, but what can I say, needs must when the devil drives. I shall do better in April, I hope. But don’t count on it. As my twitter timeline went into meltdown over the triggering of Article 50, I was busy concentrating on some rather more local politics. 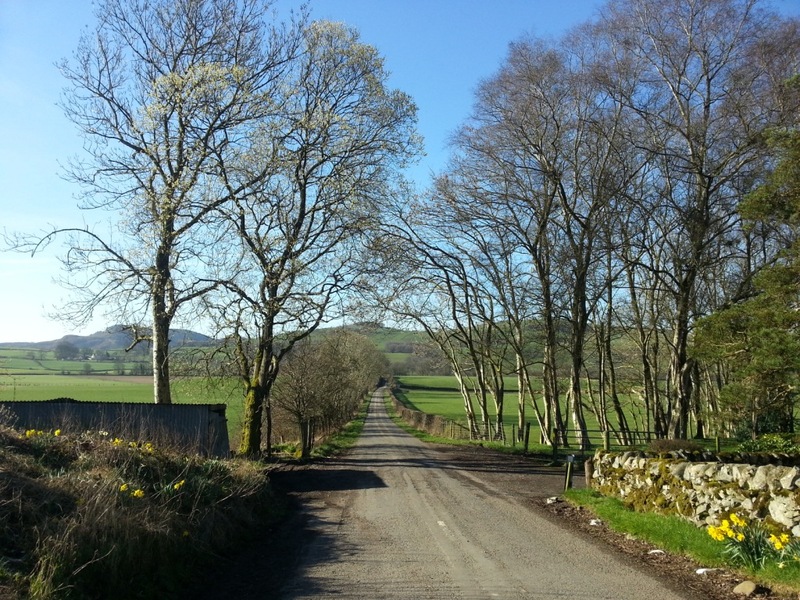 For today was not just momentous/disastrous (delete as applicable silently in your head and don’t feel you have to tell me in the comments) for Brexit, it was also the day nominations closed for the Scottish local elections, blowing the starting whistle on the Walk Cycle Vote campaign. So today has mostly been spent starting to get a mass of unruly data into something that will ultimately become our candidate database – and marvelling at the vagaries of local politics. This, it appears, gets progressively more idiosyncratic the further you are from the centre, with some of the outlying parts of Scotland eschewing party politics altogether, and others featuring a bewildering array of independents (if anyone would like to explain to me the difference between aligned and unaligned independents I’d be grateful). Interestingly, while some council wards are hotly contested, with ten or more candidates battling it out for just three seats, in others candidates have already been elected unopposed. 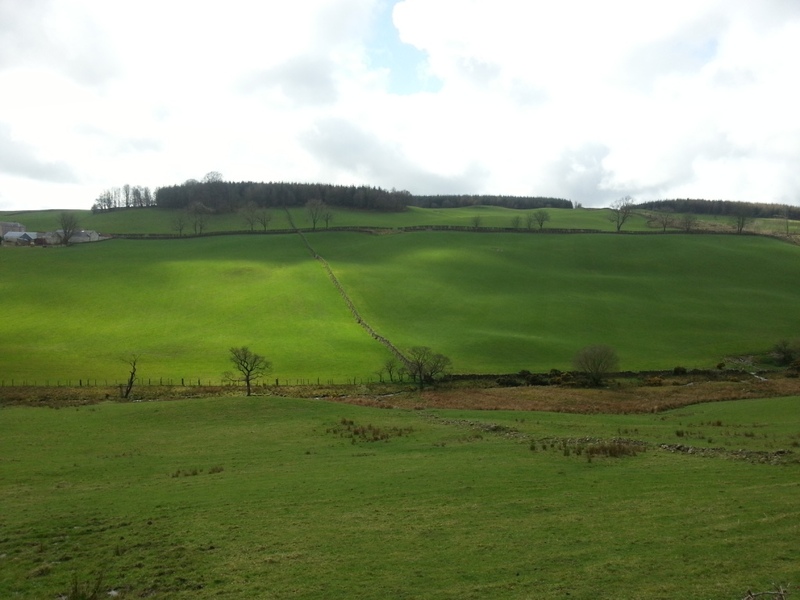 I hope you’re happy with the coonsil, people of South Kintyre, because you aren’t going to get a chance to tell your candidates at the ballot box this time around. Shame it’s too late to get a Cycling Party together in time for the nominations. Well, as a bike lover and a book addict, there’s really very little to beat being sent a free copy of a book about bikes, and, more particularly a book about how bikes can save the world. 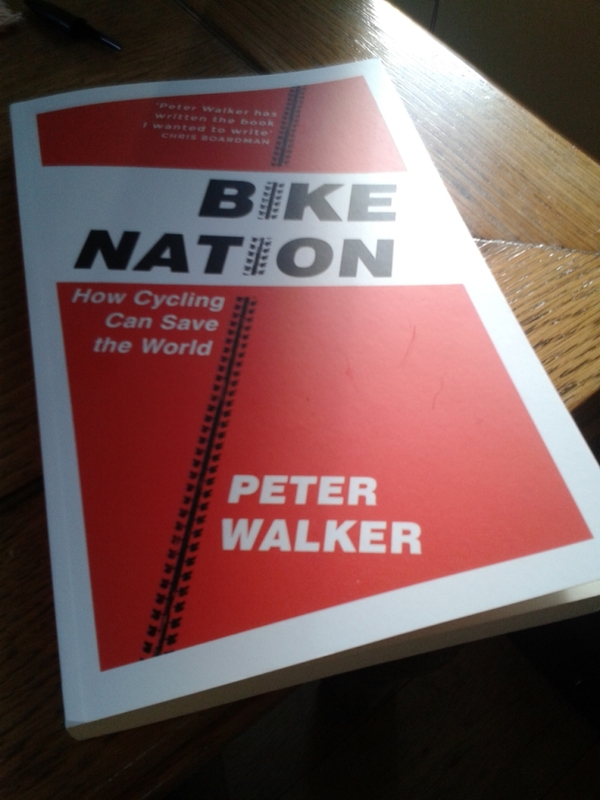 The possibly inaptly named Peter Walker is a Guardian journalist and he also runs the Guardian bike blog (which has hosted me from time to time). He’s generally a reasonable voice on Twitter, too, which is harder than it sounds in the occasionally febrile world where bike politics and 140 characters coincide. And he’s written the book that, as cycle campaigners, we’ve often wanted: a steady canter through the evidence underpinning just how much benefit cycling brings, whether it’s looking at your own health, to childhood happiness, to prosperity. Sure, we’ve been banging on about this for the last decade, but somehow it’s more convincing in an actual book, laid out in measured prose, with a bibliography and everything. Something to give to people to show them that it’s not just bike fanatics and (dread phrase) ‘avid cyclists’, that will benefit from investment in cycling, but everyone, even those who (poor sods) never actually get to ride one. It’s all here: the evidence that cycling makes us healthier, how bikes can improve social justice, the benefits to the economy, the need to build decent infrastructure. In truth, if you’ve spent a lot of time reading bike blogs – or have ever been backed into a corner by me at a party after you unwisely asked why I was so keen on cycling – then there’s not much here that’s going to be startlingly new. As a good journalist, Walker has dug deeper into the stories behind the well-known facts, like the bereaved family behind the Dutch die-ins that changed the Netherlands’ policy direction away from the disastrous dependence on cars in the 70s that we blindly continued on with. It’s engagingly and sensibly written. It even manages to navigate the choppy waters of the issue of bike helmets without making the reader lose the will to live. For the rest of you – assuming that no Scottish politicians or policy makers actually read this blog – it’s coming out in April and you’ll have to pay for it yourselves. * As soon as the crowdfunder closes, we’ll be liaising with the relevant supporters to spread them out a bit, to make sure that they don’t ALL end up outside the Scottish Transport Minister’s door. 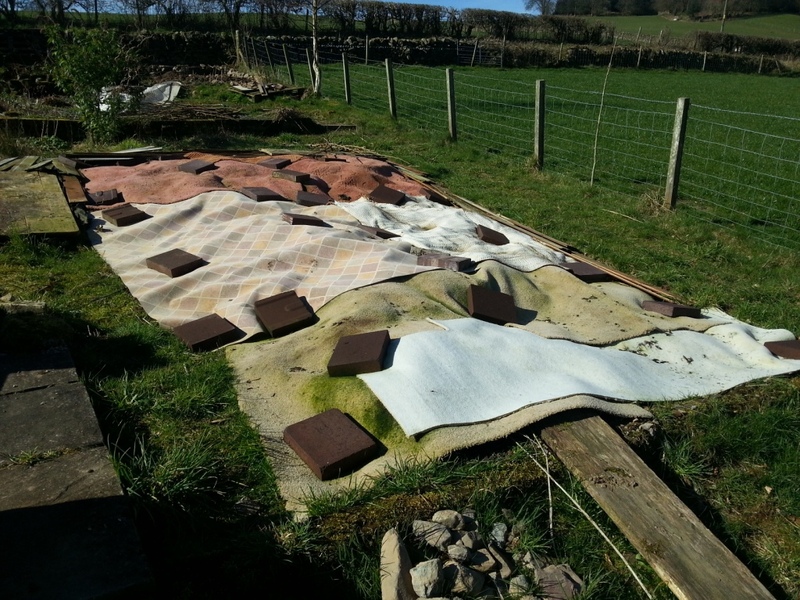 So, I know you’ve all been waiting with bated breath to discover how the manky pink carpet experiment has been getting on. Well, as it happens, due to a rare confluence of events that meant I was not required to be in a random Scottish city this weekend, combined with a slight lull in the immediate pressure of POP preparation (but there’s still time to contribute to our crowd funder, just saying), and a day promising sunshine and light winds, gave me the perfect (indeed, possibly the only) opportunity to find out. 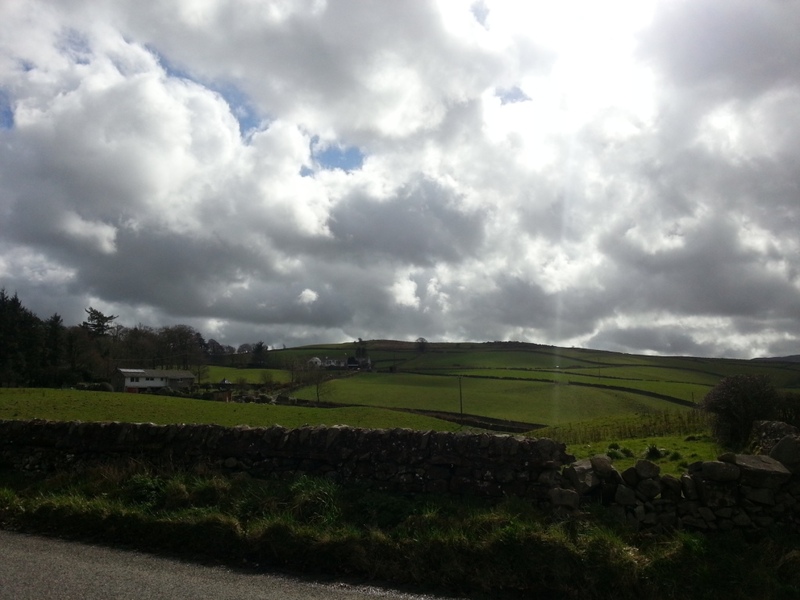 In fact, I would have been hard pressed not to spend today out in the garden, given the gloriousness of the weather. 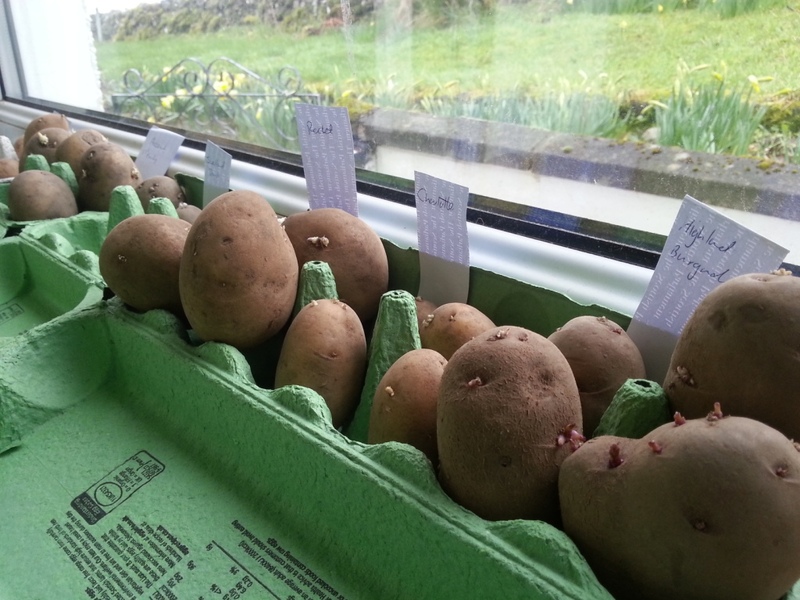 So far this year, my entire preparation for growing veg has been a half-hour trolley dash through potato day (top tip: label your seed potato bags before you pick your potatoes, and then put them in alphabetical order for maximum efficiency), and chitting my seed potatoes. 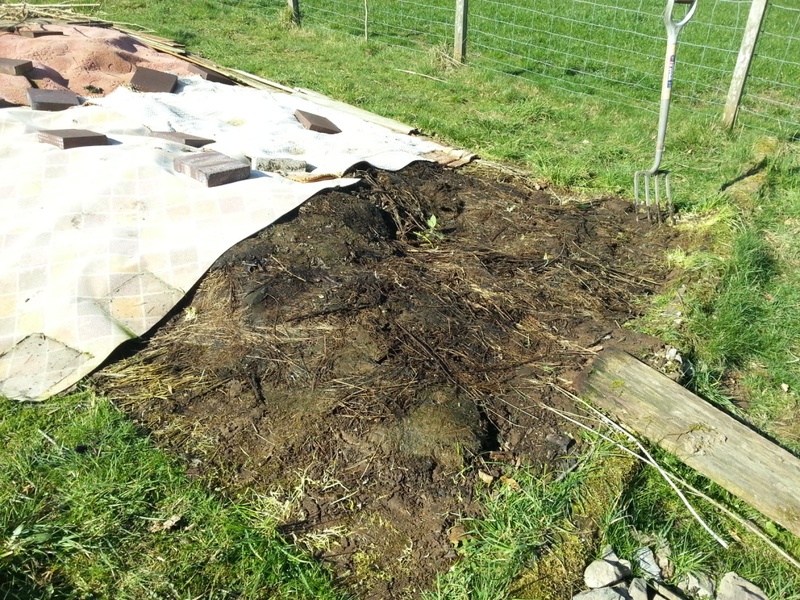 I knew that the carpet hasn’t been down long enough to properly deal with the weeds or let the organic matter break down, but spring waits for nobody, and I decided to open up the first bed and put my first and second earlies in today. 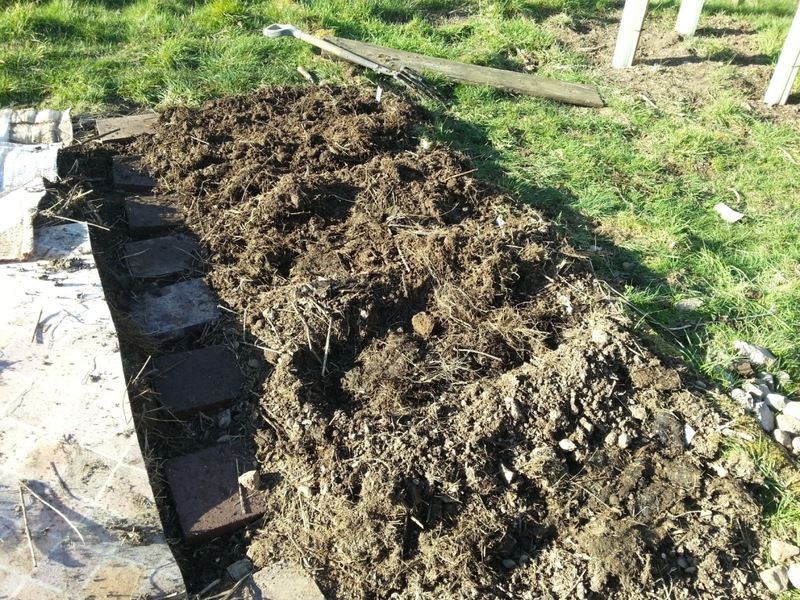 What with all the digging, lugging about of heavy stuff and general hard labour, I feel a bit broken now, but it does feel good to have got started for the season. … if, full of care / We have no time to stand and stare? 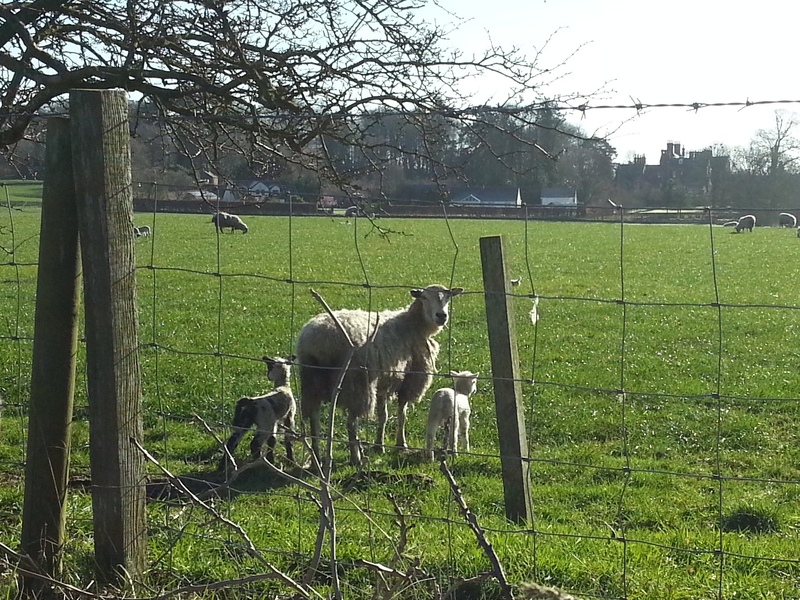 There’s a field I pass on the way into Bigtown which is now full of lambs, still at their maximally cute knobbly-kneed, propeller tail stage. They’ve been sheltering by the trees right by the road, maximising photo-taking opportunities, but every time I’ve been passing I’ve been hurrying to catch a train or bus, or meet someone, or otherwise have not had time to stop. Today was probably another such occasion, but it was also a glorious if somewhat chilly spring moment so I thought I’d better try and seize the moment before they grew more reminiscent of Sunday lunch than spring. Of course they all mostly ran away and hid behind their mothers as soon as they saw the bike, so you’ll just have to imagine the cuteness. It took her about five repetitions to get the question across, because I had no idea what she was talking about (I kept hearing ‘bells’, which was only slightly more baffling to the six-year-old me than ‘dolls’) and had no conception that you might want anything more than books. 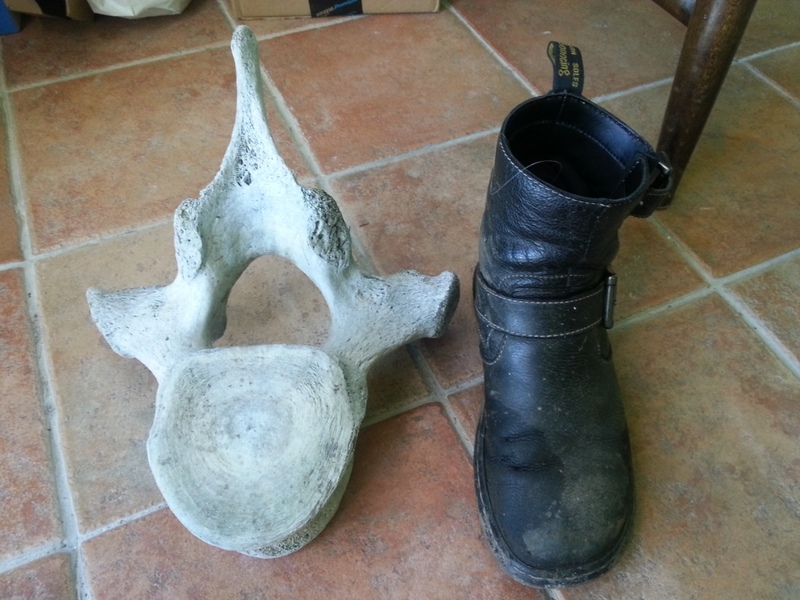 If only she’d said ‘killer whale vertebra’ I’d have grasped her meaning much faster. 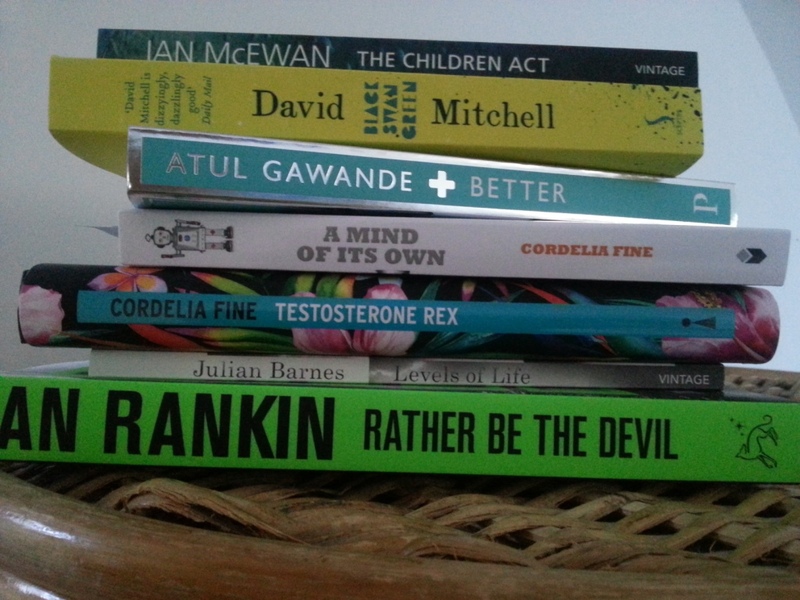 My birthday wishes have widened somewhat over the years, but even now, the prospect of having not just something, but a whole stack of books to read is an unalloyed pleasure, even if I’m not entirely sure when I will have the time to devour them all. *Oh, okay, the best thing is cake for breakfast in bed. But this is the next best. 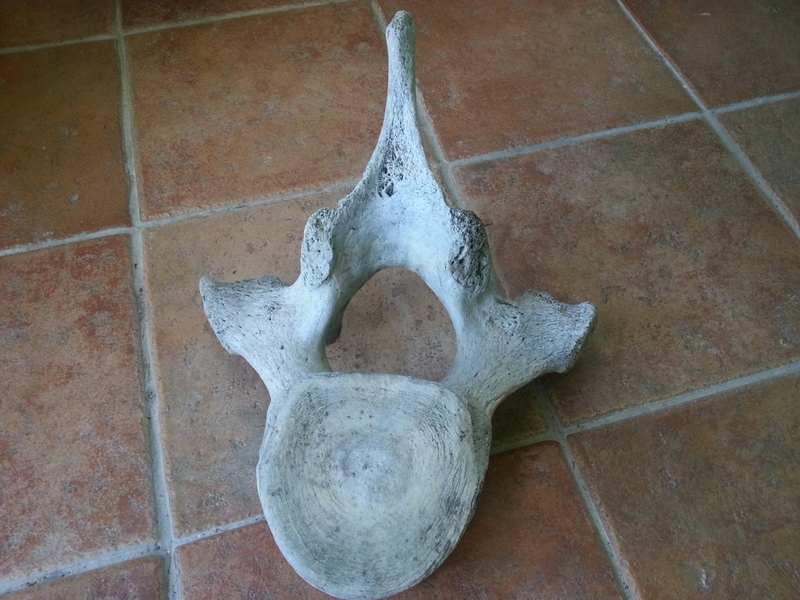 I mean it’s only a killer whale vertebra which a friend has passed on. Apparently there was some concern that I might not be that keen on having bits of whale skeleton brought into the house, as this is the sort of thing that wives tend to object to. You are currently browsing the Town Mouse blog archives for March, 2017.